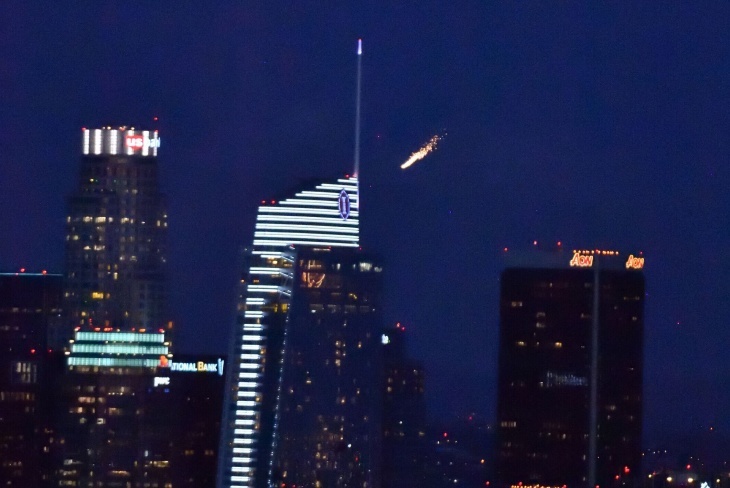 We know that a massive, flaming meteor striking L.A. would be the next logical weather event to happen in Southern California this year. But like most things, our imminent doom was just a ploy to sell energy drinks. 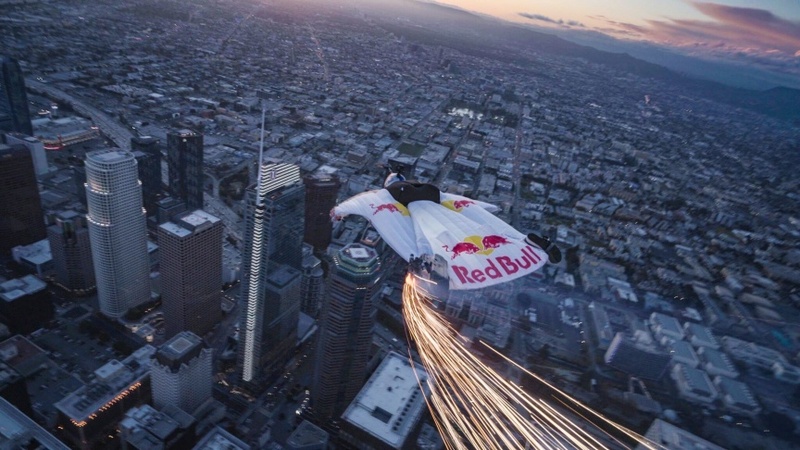 Turns out Red Bull was literally performing a publicity stunt Wednesday evening with its name brand "Air Force" of skydivers in special wingsuits. They were outfitted with LED lights and glorified sparklers to mark the final supermoon of the year, according to a press release issued Thursday morning. A widespread advance announcement about the stunt would have been nice, but scaring and confusing people — and trending on Twitter — probably gets more attention. The Los Angeles Police Department soon weighed in to set the record straight. But some people wanted to believe. Angelenos have a history of crying "aliens!" when they see something they haven't seen before in the sky (like that SpaceX launch last year), but if there ever are extraterrestrials or a murderous meteor screaming toward us, we'll be sure to let you know.